GE secured more than USD1.4 bn in orders from Iraq’s Ministry of Electricity to set up power plants as well as provide technology upgrades and maintenance services. GE will set up the Samawa and Dhi Qar power plants, adding 1,500 MW to the grid. 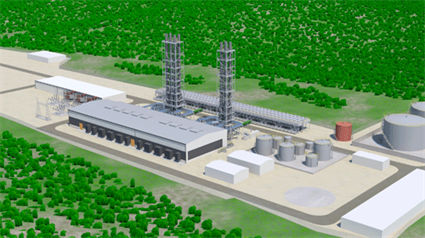 In the first phase of the project, GE will install four 9E gas turbines in simple cycle at each site by 2018. The second phase will see the combined cycle conversion of those 9E units. GE is also supplying advanced heat recovery steam generators (HRSG) and steam turbine technology, as well as serving as the engineering, procurement and construction (EPC) contractor for the projects. Under Phase II of the Power Up Plan – a plan with the Iraqi Ministry of Electricity (MoE) for critical electricity generation and maintenance projects throughout the country – GE will add over 580 MW to the national grid through upgrade and rehabilitation works at four power plants. GE will service and maintain 1.75 GW of existing power generation capacity with the overhaul of 9E gas turbines across six different power plants in Iraq.